W7 - 'In The Buff' Natural Nudes Eye Color Palette Only $8.45 + FREE Shipping! You are here: Home / Great Deals / Amazon Deals / W7 – ‘In The Buff’ Natural Nudes Eye Color Palette Only $8.45 + FREE Shipping! 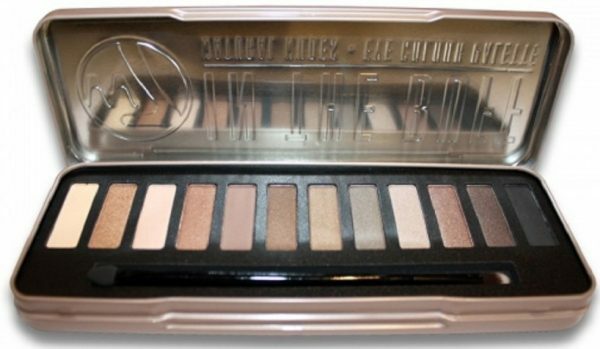 W7 – ‘In The Buff’ Natural Nudes Eye Color Palette Only $8.45 + FREE Shipping! If you’ve been eyeing those pricey, name brand eye shadow palettes, you’ll LOVE this deal – get the W7 – ‘In the Buff’ Natural Nudes Eye Color Palette for $8.45 + FREE shipping! This has a 4 1/2-star rating on Amazon, and reviewers say that it’s a GREAT duplicate of the more expensive brands! I’ve been wanting a palette like this, so I’m totally giving this one a try at this price!